Are you an experienced surfer that is looking for some of the best surfing Mazatlan and Sinaloa state have to offer? Look no further - we'll take you to some of the region's best surfing areas, including Punta Cerritos, Playa Las Olas, Punta Chile, and Pueblo de Marmol. 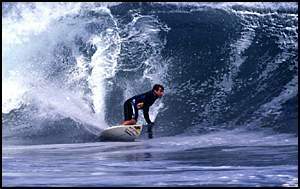 Mazatlan and it's surrounding areas feature some of the best surf anywhere in North America. Surf some of the best waves in Western Mexico during you vacation in Mazatlan! This tour take you to waves that are suitable for your skill level - from beginner to expert. There are waves for everyone here! We offer Mazatlan's only no-port, no-pay policy. If your cruise ship doesn't port, you receive a full refund. There is no risk to book with us, only savings and FREE use of our beach club - exclusive to customers of Mazatlan Tours! Kids: All ages are welcome. Kids same price as adults. What a great deal! Not only do you get have fun surfing, but then afterward you can relax and lounge at the hotel and beach club, enjoying the restaurant, bar, pool, and beach facilities to your heart's content.